Being an expert in Russian and Slavic traditional clothing, we have a great choice of ethnic fabric by the yard. 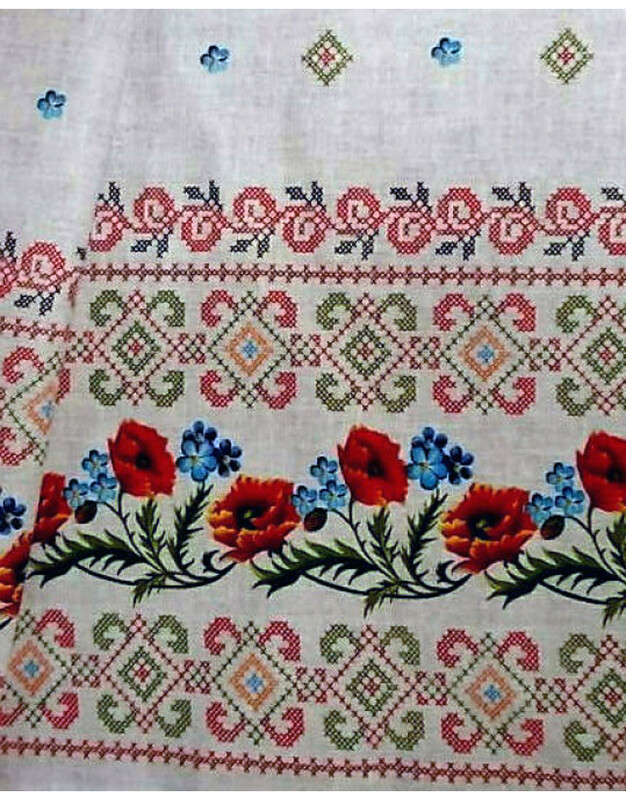 If you want to make your own ethnic clothing or home textile in Slavic style, you are in the right place. 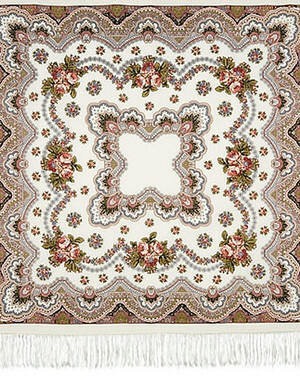 Russian patterns and floral fabrics are popular among many designers all over the world. All fabrics are cut fresh from the bolt. The price listed is for one meter which is a fat yard (1 meter = 1.1.= yard). If you decide to order more than 1 meter it will be sent as a continuous length. 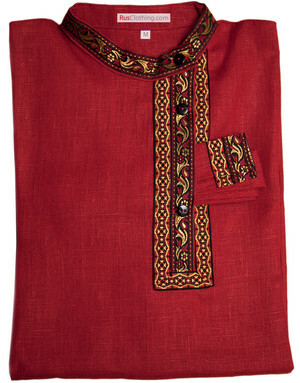 The quality of every fabric is high, as we test it before offering here. • Custom cut to your specifications. • Available in 1-meter increments. If you order two or more meters, you will get a single roll.